Caribbean Lifestyle Media-Popular promoters Irish and Chin recently started putting together tour packages for sound systems. Irish and Chin told us, the packages include pairs of sounds, granting promoters an opportunity to book two of the industry's top sound systems for a nominal price. Therefore, promoters will be able to minimize expenses, while providing patrons with high level entertainment. 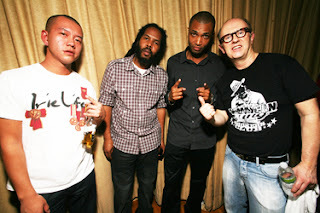 In addition to the combo of David Rodigan and Mighty Crown, there are numerous sounds in consideration for the Spring 2011 package tour. Ideally, Irish and Chin wants to peg highly respected, influential sounds that can sell out venues. Ideally we would like to see more packages like this from artists of the same caliber as David Rodigan and Mighty Crown. This is a great step in the right direction for Irish and Chin, it will also build the industry in the long term. In response to this, Chin stated, "Over the years, sound systems have suffered from a decline in international bookings for reasons including but not limited to a decrease in the sound's popularity/pulling power and the hiring of 'local' sounds by reputable international promoters, when promoters hire local sounds, there overhead is cheaper and there is no stress or travel to worry about......but local talent CANNOT replace the true essence of the vibes that top tier sounds bring to the international market. Our campaign is merely a compromise that will offer promoters quality entertainment, while ensuring our sounds have consistent work." Interested promoters should contact bookings@irishandchin.com.